Virgil Tracy from hit ITV show Thunderbirds Are Go took part in a rocket making session at The Children’s Trust, the UK’s leading charity for children with brain injury on Tuesday 25October. 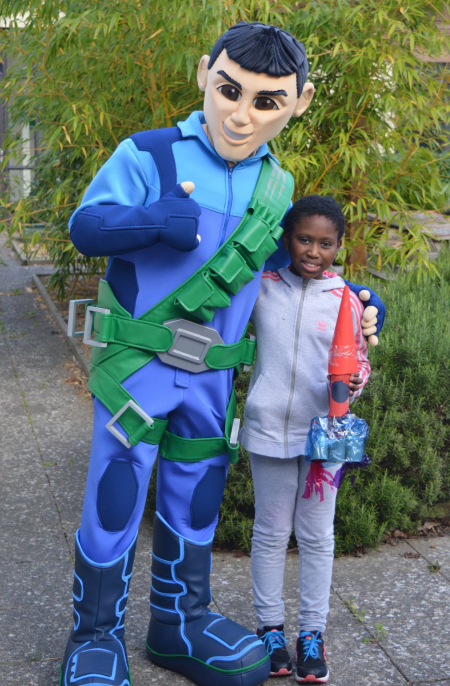 Virgil’s visit helped bring space star inspiration to the children, who are receiving specialist brain injury rehabilitation at The Children’s Trust. He also handed out gifts from his home Tracy Island, following the launch of Thunderbirds Are Go on ITV on Saturday (22 October) and on CITV on Sunday (23 October). Thunderbirds Are Go new episodes air every Saturday on ITV at 4pm and every Sunday on CITV at 8.30am. To find out more about The Children’s Trust, visit thechildrenstrust.org.uk.